Investing in the City of Newburgh has gone under the radar of many, but with recent sales happening a smart buyer knows to look at properties in the city. 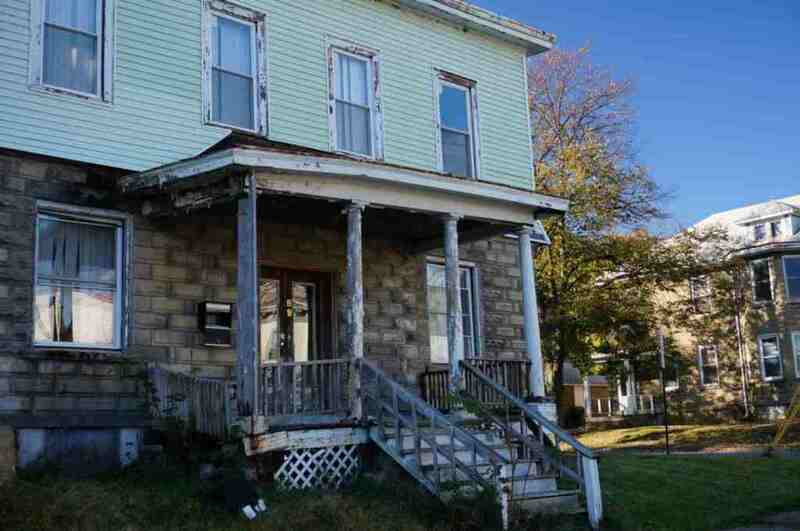 Truly a diamond in the rough, this enormous two family property is going to be a beauty. While more than just a bit of TLC is needed to get her back on track, the results will be worth the effort. Located in Washington Heights neighborhood of Newburgh NY this home is just 63 miles north of NYC. Close to Metro North, the Newburgh Waterfront, Newburgh Beacon Ferry and more. We are a one seat ride to NYC via Metro North and that makes us a prime location. Walk to the Newburgh Waterfront for an afternoon of entertainment and restaurants. Stroll down the street to the park-like area over looking the Hudson River. If you have not been to the City of Newburgh NY lately, come take a look and see what we are up to. Properties are being bought, renovated and either rented out or new owners are moving in. The Brooklynites are finding out location most appealing at these prices. The time is now and the place is Newburgh. Located on the corner of Beacon and Liberty Street in the Washington Heights neighborhood. Make a plan to visit and invest in Newburgh NY now. Why? Newburgh is a City on the Verge. Join us now and become a integral part of Newburgh NY. Why not help us mold the history of this beautiful city the Hudson River? Call now for an appointment to view this property today. Call 845-527-7115 and ask for Janis.